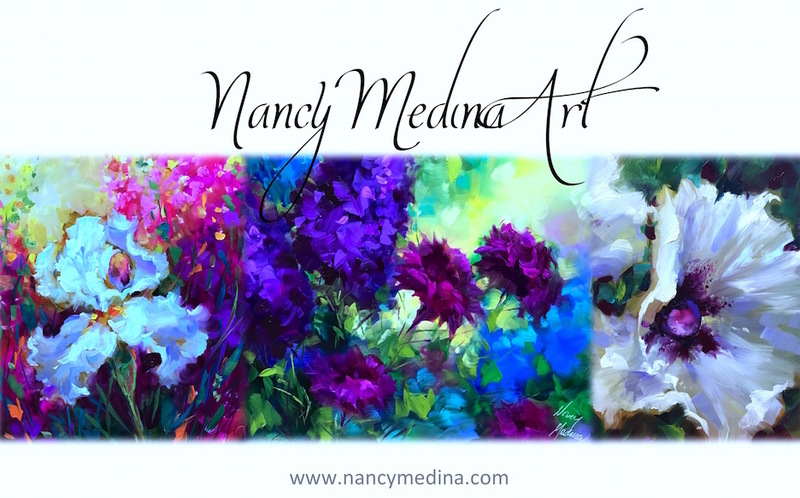 Nancy Medina Art: A Little Lilac and C'est la Vie! 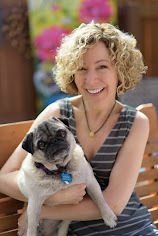 A Little Lilac and C'est la Vie! 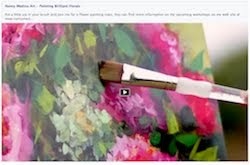 A Little Lilac is a new palette knife painting drying on the easel in Flower Mound Studio today. These are more lilacs from my dear friend Sharon's bush in New England. Last spring at my Dallas Arboretum show, a gentleman who was examining my work with a rather clinical eye told me I "see the violet spectrum very well." He sounded so scientific I was instantly convinced he must have a tremendous amount of knowledge about light and how it works and all the interactions of color with shadow and reflection. I was sure that if time were allowed, he could probably explain why local color is different than reflected color and why atmosphere cools and sunlight warms. Alas, before I could find out the answers to all of these questions that have plagued me for over 15 years of painting, he turned on his heel and walked away. C'est la vie! Really gorgeous work, Nancy. I can smell those Lilacs! your paintings are so inspiring! i can smell these lilacs! Beautiful Nancy!! You've got the gift girlfriend! Wonderful...don't ya love it when someone sees something in your painting that you never noticed!!! Hi Nancy!! Oh I just love your style...just stunning. You have a wonderful eye!! I love the purples myself!! Off to look at the other beauty here!! My all time favorite flowers! You have handled these beautifully, Nancy. 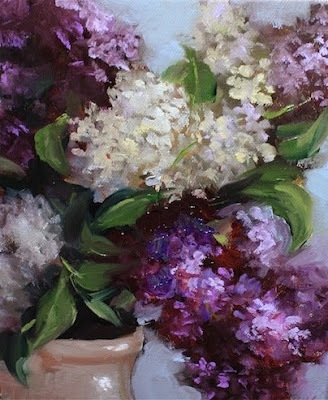 This is so beautiful, Nancy - it reminds me of the lilacs in our yard when we lived in Virginia. I love this painting!